On Wednesday morning I published a couple of tutorials about annotating PDFs and annotating Google Slides. 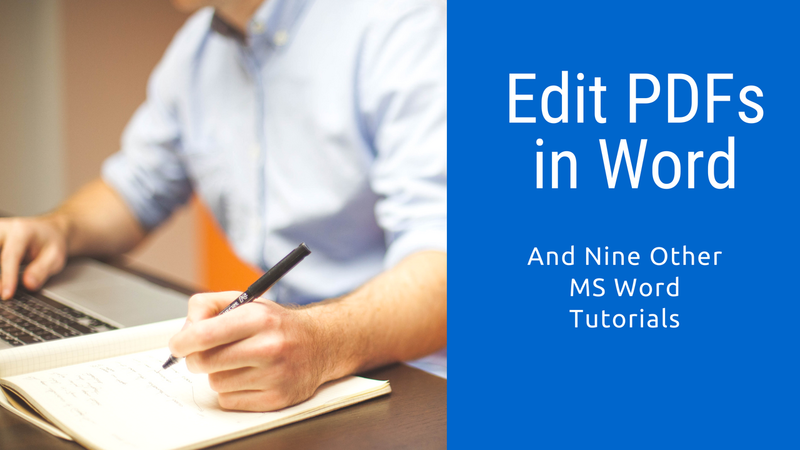 Shortly after publishing those tutorials Mike Tholfsen Tweeted a link to Microsoft's 10 Handy Tips for Microsoft Word. One of those tips is using Word to edit PDFs. A short video tutorial for that process is embedded below. Video tutorials for all of those tips can be found here.